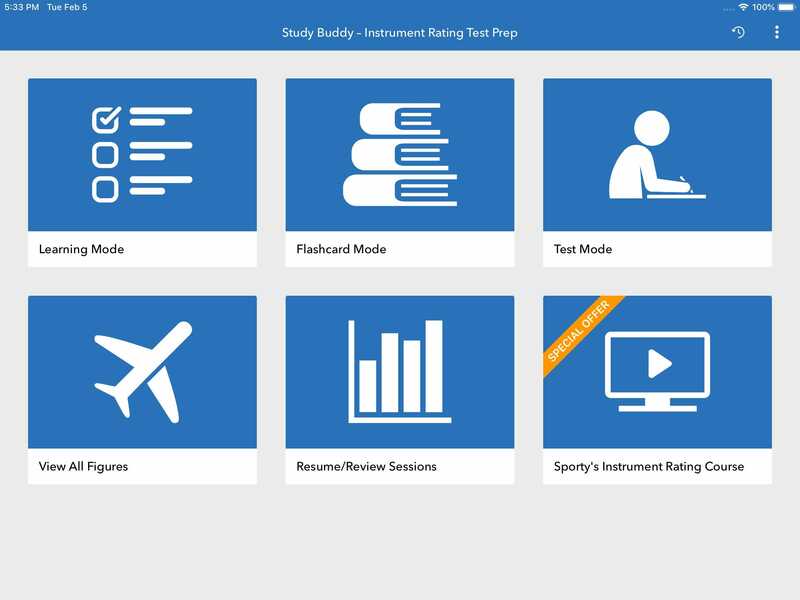 Sporty's Study Buddy™ will prepare you for the FAA Instrument written test like no other study tool available. After reviewing the included reference material, you can then study the test questions with three modes of operation. 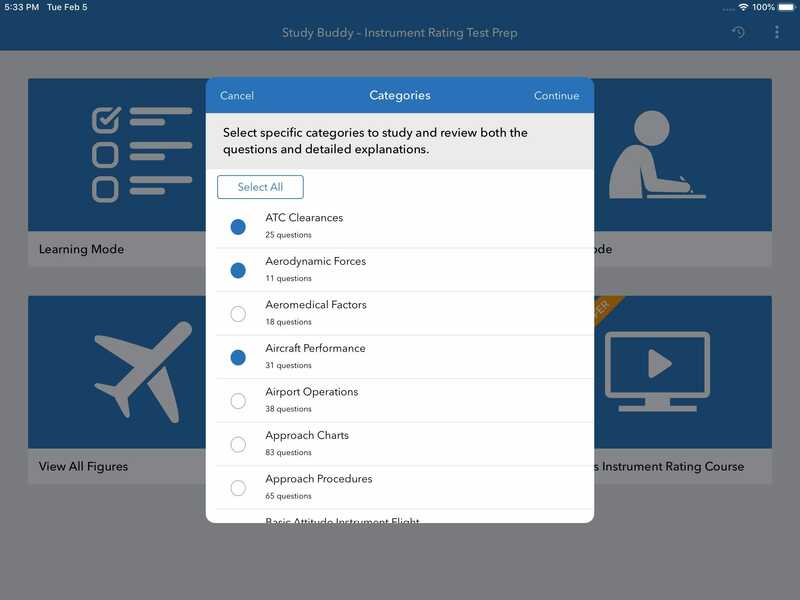 Test material is expertly organized into categories based on subject matter and includes questions, answers, correct answers, and detailed explanations. 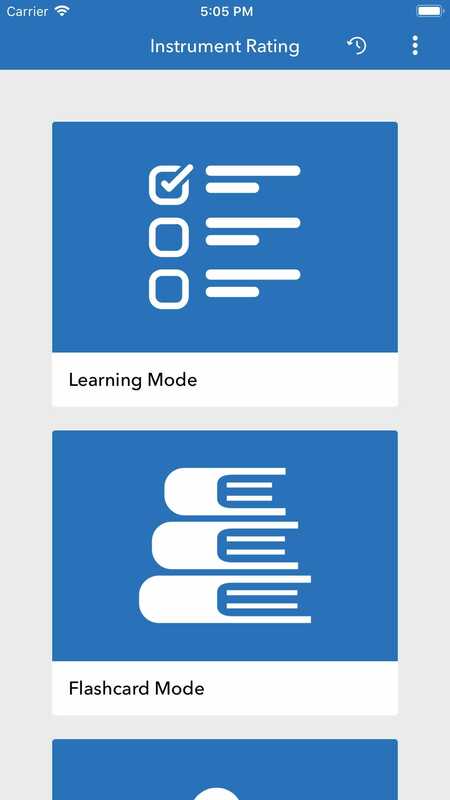 Learning Mode allows you to create custom review sessions by selecting exactly which categories you want to review. Each session randomly generates the question order, and provides instant feedback based on your answer selection. Each question also provides a detailed description as to why each answer is right or wrong. These explanations were developed by Sporty’s team of Master CFI’s, based on their experience preparing students for the Instrument Rating. 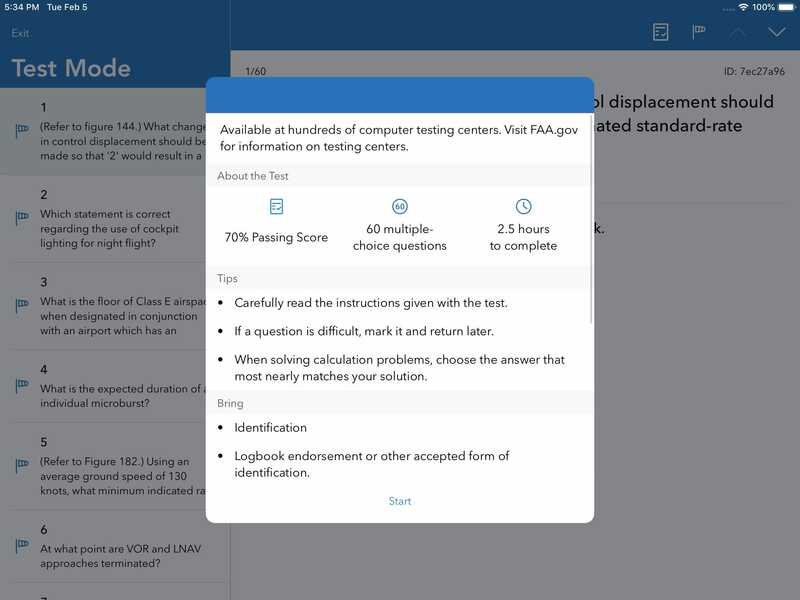 Flashcard mode tests your knowledge by allowing you to only see the question without the answer choices. 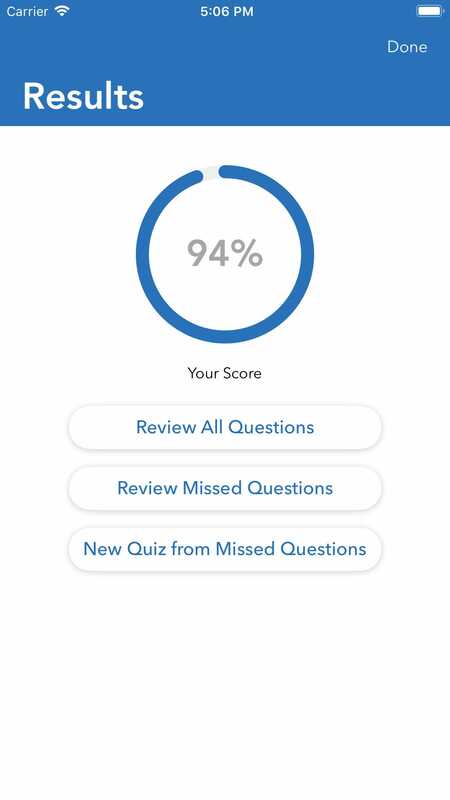 After answering the question mentally, you can then select to show the correct answer, and self-grade your progress along the way. 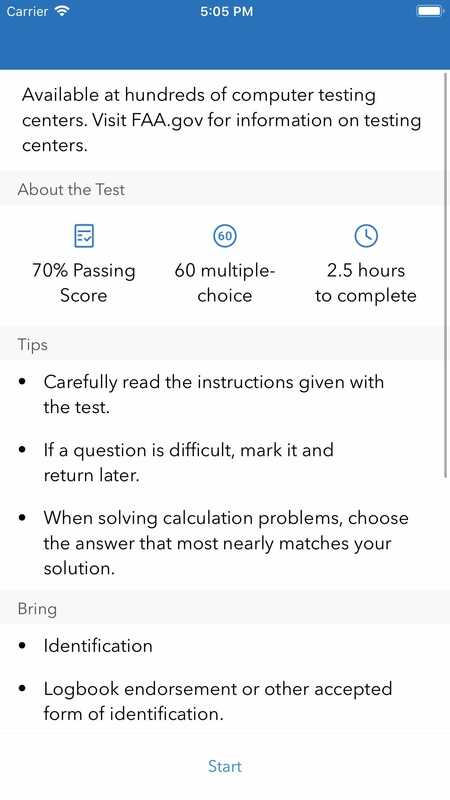 This is a great test prep feature that keeps you from being distracted by incorrect answers! 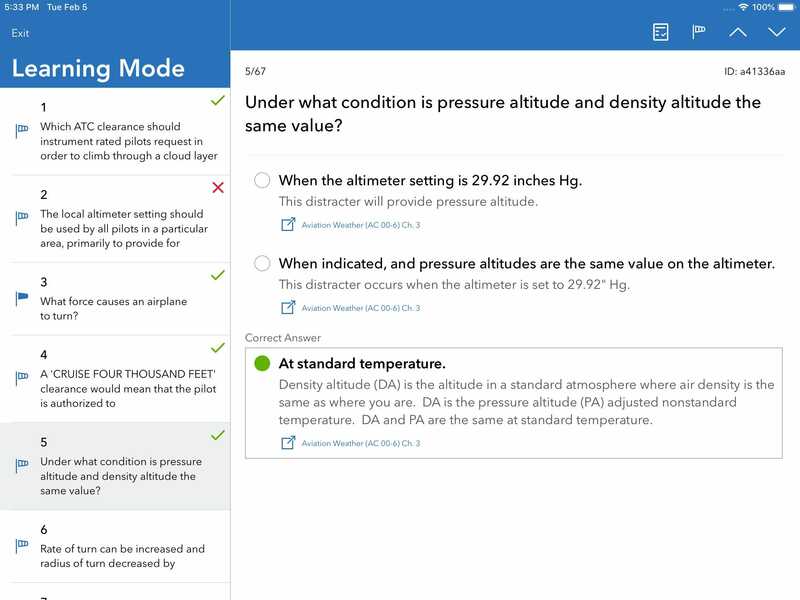 Test mode randomly generates a 100-question session from the entire database of published FAA test questions, simulating the real Instrument Rating test. 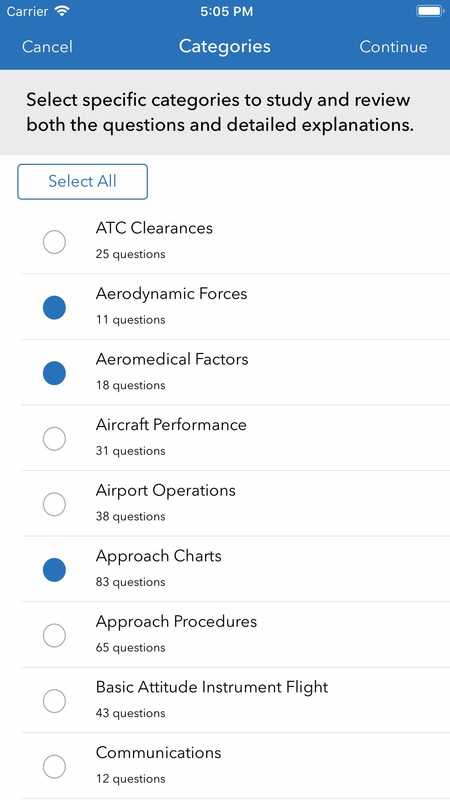 After answering all the questions, you’ll be given instant results, and have the option to review either all the questions, or just missed questions. Included in the review session are the same detailed explanations for why each answer is right or wrong. 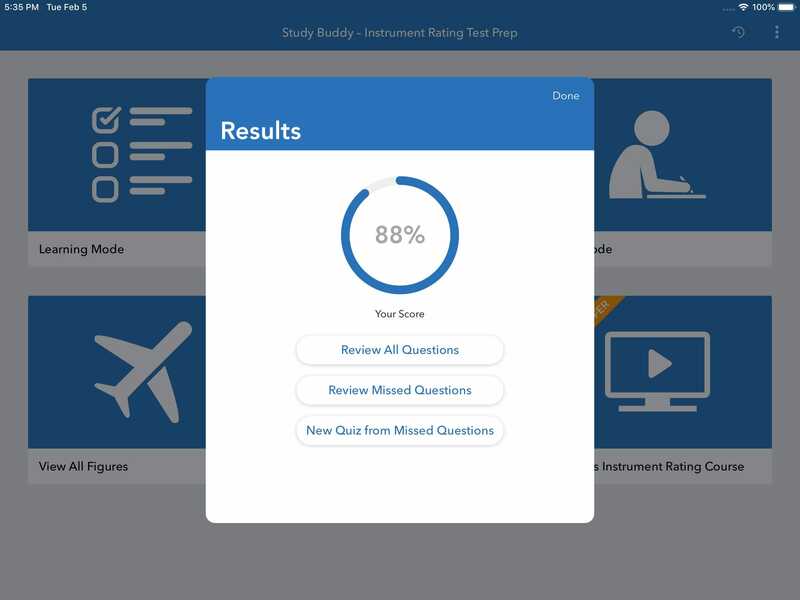 After completing each test your results are saved in the app's Progress Report section, where you can review previous scores and a detailed history of each question and answer selection. You can also pause a partially-completed session, and resume it at a later time here. Welcome to Sporty's Instrument Pilot Study Buddy 2.0. 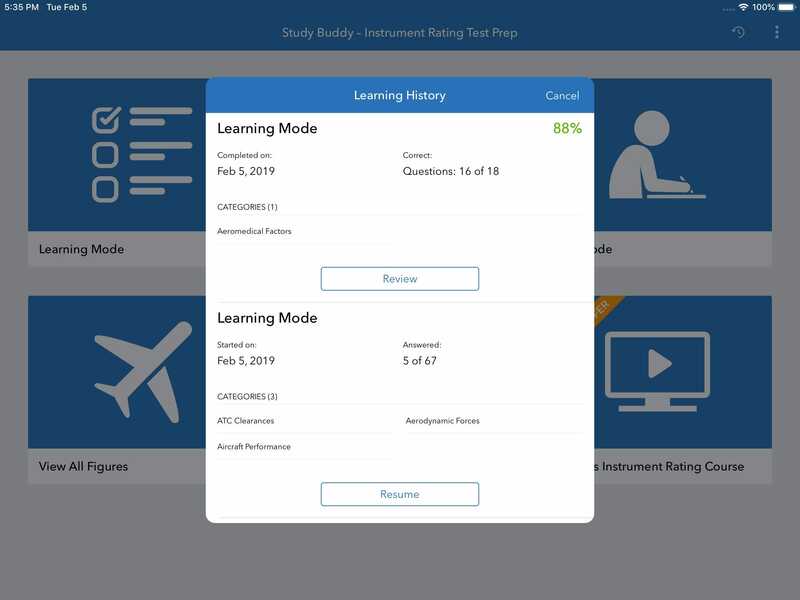 We redesigned the app from the ground up with a new interface to make studying for your Instrument Rating knowledge test easier than ever. 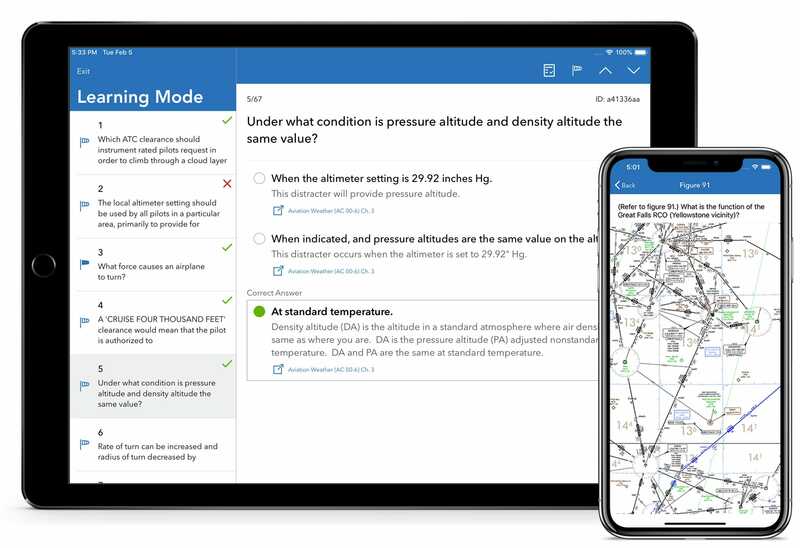 The update also includes the latest set of FAA questions, answers, explanations and figures, along with support for iPhone X and iPad Pro. 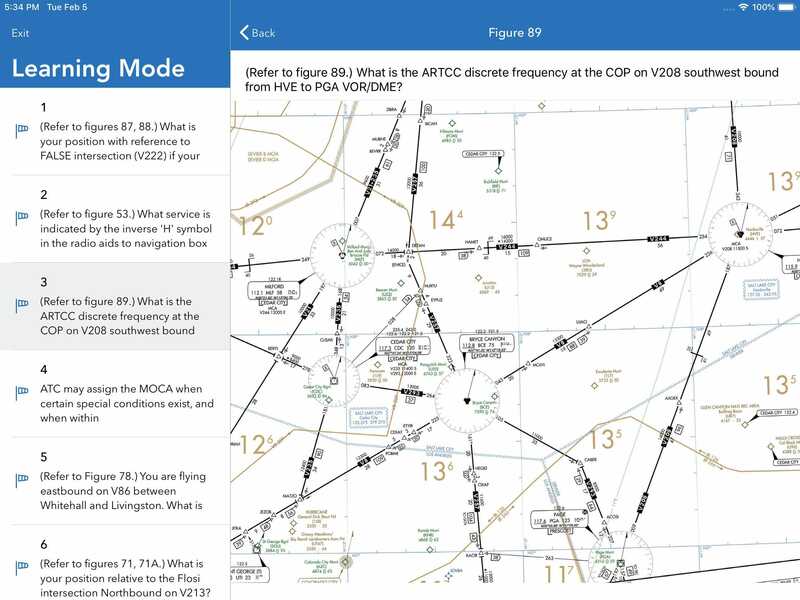 Optimized for iOS 8, and includes updates and new questions to the FAA test database. This version adds a new high-resolution figures viewer, allowing you to access any of the figures when answering a question, and not just the one intended for the question you're currently viewing. 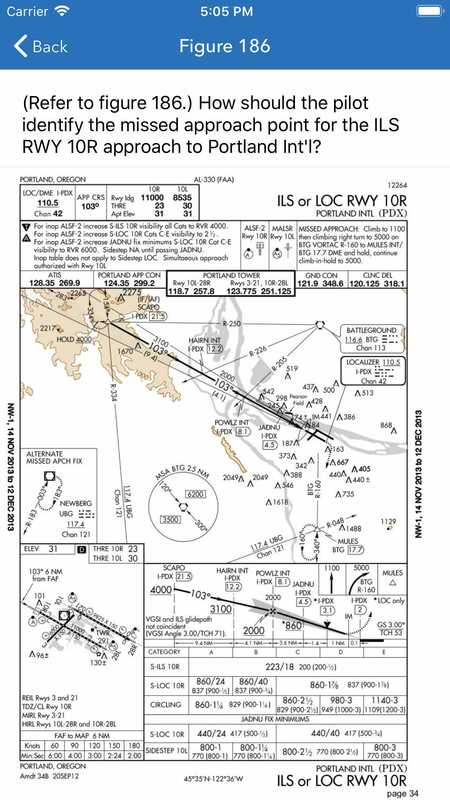 This also includes iOS 7 compatibility updates, and new FAA test questions. 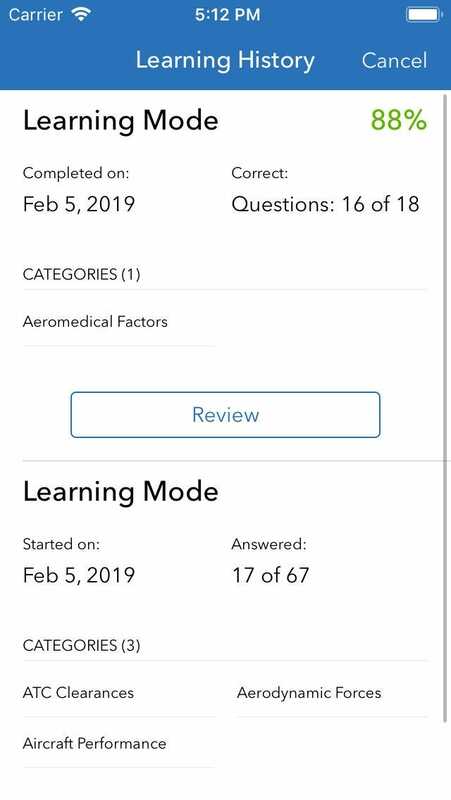 Written test results are now stored in a Progress Reports section of the app, allowing you to go back and review each session in detail. This also allows you to pause a test prep session and resume at a later time. How many questions of the question database are included? All 1000? Or less? But why do some other Companys like Sheppard have around 1200 Questions and this App has only 852? Other companies have questions that are the same information asked in a different way. 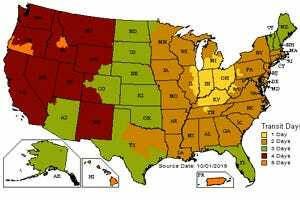 We also have information that is asked in a different way but we remove many of the irrelevant questions, ie NDB's. I tried taking a test while my iPad was in airplane mode, but clicking a figure made the app crash and lose my work! How can I download the figures so I can take a test while offline? BEST ANSWER: You can download the pdf at www.sportys.com/mycourses. 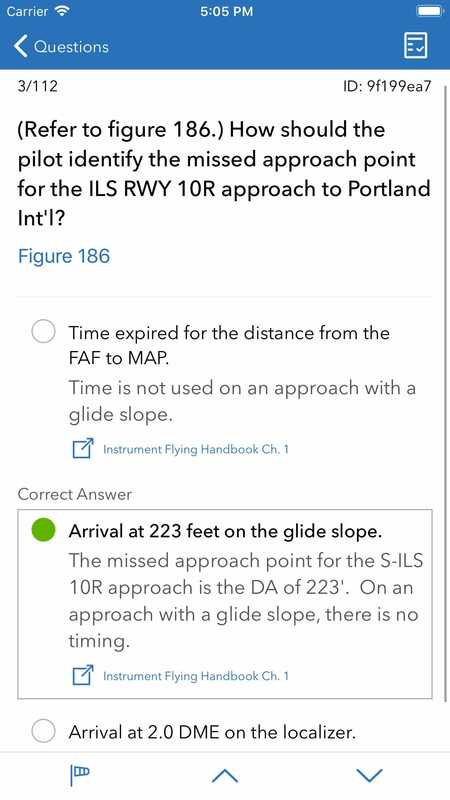 I couldn’t see any way to do that (I’m not actually registered for a course) but I downloaded the testing supplement from the FAA site and it seems to be the same as the figures in the app. It would be great if the app failed more gracefully than dumping all my answers, but now I can study and hopefully avoid that. Do you have to be online to use this app in learning mode? BEST ANSWER: No, the app will work offline once you have downloaded it. 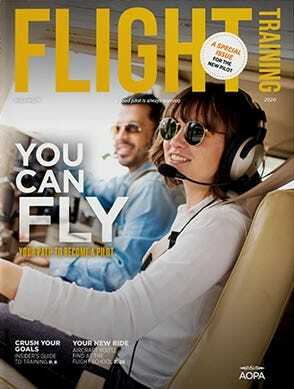 Can this be shared with family members like Private Pilot Study Buddy?